The smartphone and tablet accessories industry is worth an untold amount of money annually. That kind of consumer interest is one perfectly good reason for companies to invest heavily in making the next “must have” accessory. One of the challenges that comes with designing and manufacturing an accessory in the modern age is being able to offer something that can serve up unique features and selling points to those looking for that particular type of kit. Prominent accessory maker Brydge believes it has done just that with its new BrydgeMini and BrydgePro accessories on display at the 2016 Consumer Electronics Show in Las Vegas. The first thing that Brydge is keen to stress is that each piece of kit is manufactured and ships with the company’s own 180-degree hinge system that it believes allows the accessory to “maximize the functionality of the iPad while providing the productivity of the MacBook”. 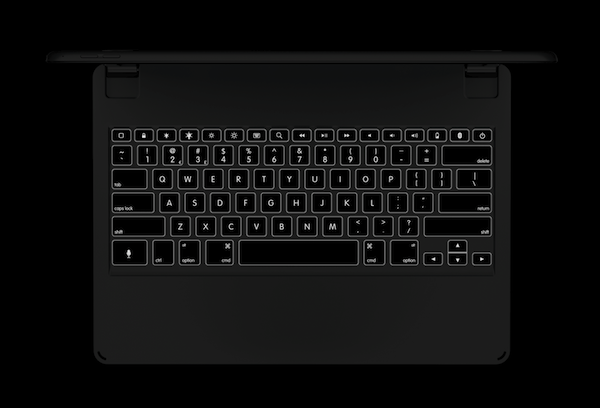 That hinge system follows on from successes within previous Brydge models, and is accompanied by a high-grade 100 percent aluminium build, backlit keyboard, and a built-in haptic feedback system that provides users with peace of mind that a key has been interacted with. 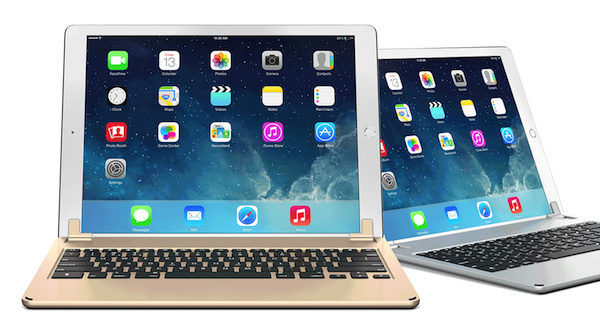 As you may have guessed, the BrydgePro is built specifically for Apple’s iPad Pro tablet. It weighs in at just 1.60 pounds and has a thickness of just 0.27-inches. There’s also built in Bluetooth 4.0 to make the connection between the case and the iPad Pro. The advanced engineering techniques used in the production of the BrydgePro means that when combined with the iPad Pro the overall thickness is less than that of Apple’s MacBook Air. Like the MacBook, the new accessory also come with backlit keys that have varying degrees of brightness that can be controlled by the owner of the hardware. The BrydgeMini, which is designed specifically for the iPad mini 4, connects via the lesser Bluetooth 3.0 standard, weighs just 0.66 pounds and measures in at just 0.29-inches thickness. Unlike its bigger brother the BrydgeMini does not allow varying brightness on the backlit keys, instead having them at a fixed level that is determined by the external environment. Both pieces of kit are available for immediate pre-order. The iPad mini 4 variant will set you back $99.99, with the iPad Pro option coming in at $189. Consumers will be able to choose between gold, silver, or space gray finishes for shipping later this year in April.